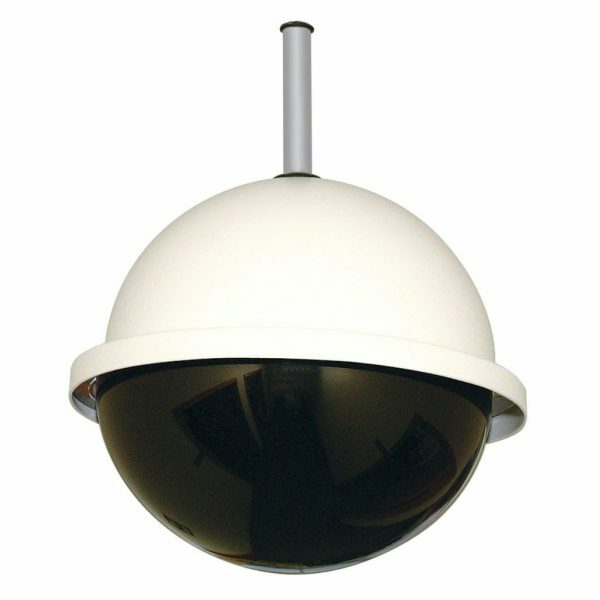 Designed for open/exposed ceilings, pendant domes are used with conduit (not provided) to provide housings for CCTV cameras. A camera bracket is included. SK-88-410WB shown. Click here to see a wide selection of our products. Smoked Bronze Acrylic in diameters of 10" and 14" with camera bracket.